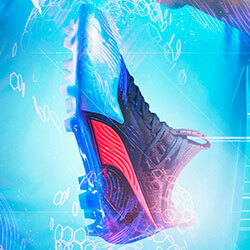 New kits. 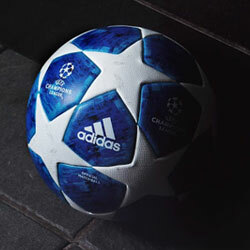 New players. New shirt numbers. 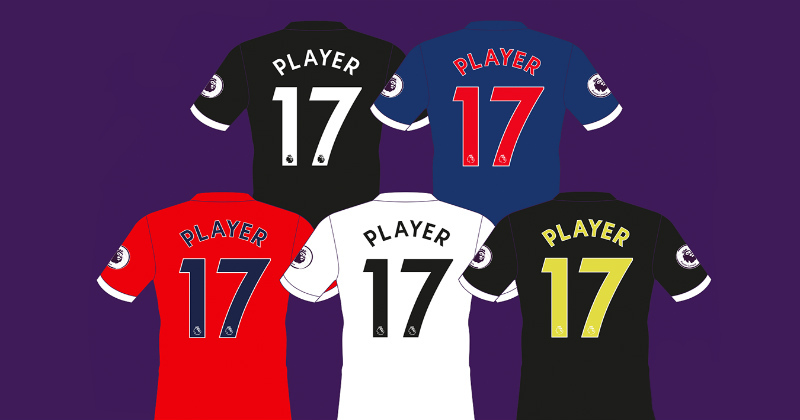 We’re having a closer look at some of the biggest squad number changes of the 2017/18 season. What an opening weekend that was. We were treated to shock results, stupid red cards and a never-ending stream of incredible goals as the 2017/18 Premier League season finally got underway. 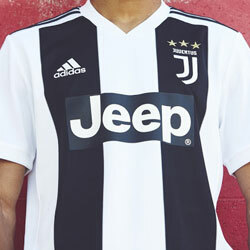 Fans were also treated to the sight of new signings running out in this year’s brand new strip, while many of the debutants actually managed to get themselves onto the scoresheet over the weekend. It’s been an absolutely insane transfer window this summer, with Premier League clubs seemingly having access to some sort of magic money tree. So it’s fair to say that fans up and down the country have been hyped to see their new boys in action- and it’s good to see so many of them delivering right from the get-go. The £75 million Belgian was always going to be a popular shirt choice amongst Manchester United fans, and this popularity has only intensified after his impressive debut brace at the weekend. Lukaku reportedly asked Zlatan Ibrahimović for permission to wear the No.9 shirt at Old Trafford, which has fuelled speculation that the Big Swede could return to United later in the season. 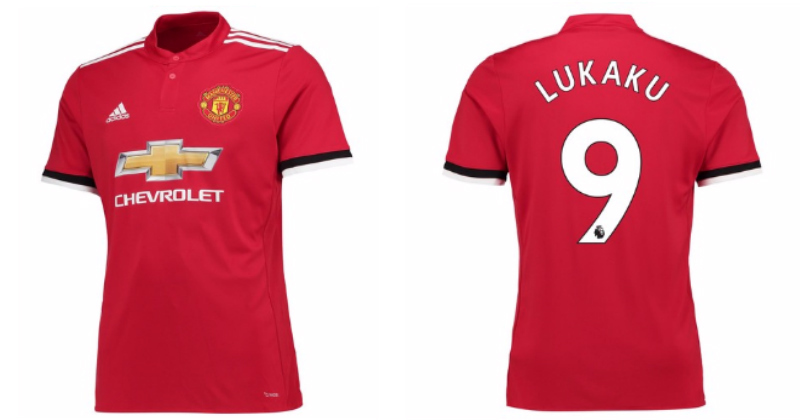 But after taking the No.9, it’s clear Lukaku will be the main man at Old Trafford this season, regardless of whether Zlatan comes back or not. Kyle Walker’s massive move to Manchester City was headline news earlier in the summer, allowing Kieran Trippier to quietly fill the vacant right-back position at Tottenham. 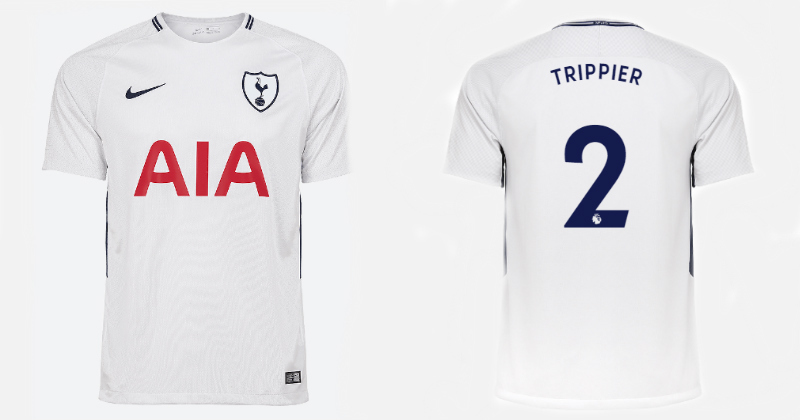 Trippier has also taken Walker’s shirt number, and he’ll be lining up wearing the No.2 jersey once he finally returns from injury. This is a clear indication that Pochettino intends to use him as his first-choice wing back, and so Spurs fans can expect to see a lot more from him this season. In a summer where players have been sold for as much as £200 million, you have to say that Manchester City’s £43 million capture of Bernardo Silva was something of a bargain. The talented Portuguese winger had a storming year for AS Monaco last season, so many City fans will be keen to see what he can do in the Premier League. Giving him the No.20 shirt, Guardiola has refrained from demoting any of his other attacking players, and instead signalled the end of Eliaquim Mangala’s City career. But with David Silva, Kevin De Bruyne and Leroy Sane already in the side, the ex-Monaco man might find it difficult to actually break into the starting 11. Although he’s by no means a new signing, Roberto Firmino seems to have been given a brand new position over at Liverpool. Previously wearing the No.11 shirt, the talented Brazilian has been moved into a centre-forward role, with Jurgen Klopp granting his request to be the new No.9. 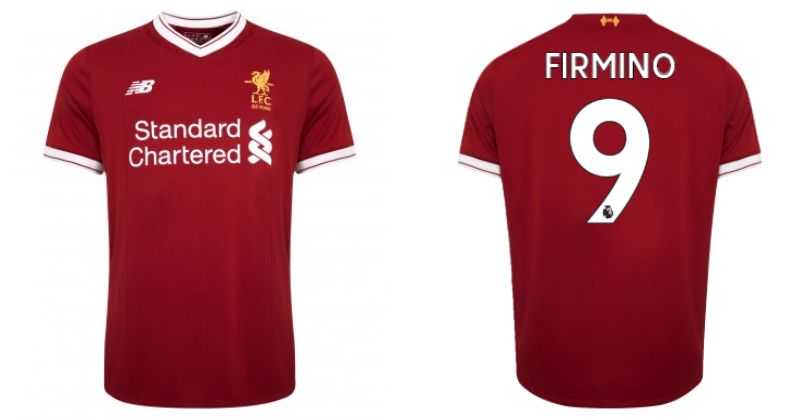 Firmino has also offered any fans who own a “Firmino 11” shirt the chance to have it personally signed, in recompense for him switching to another number. 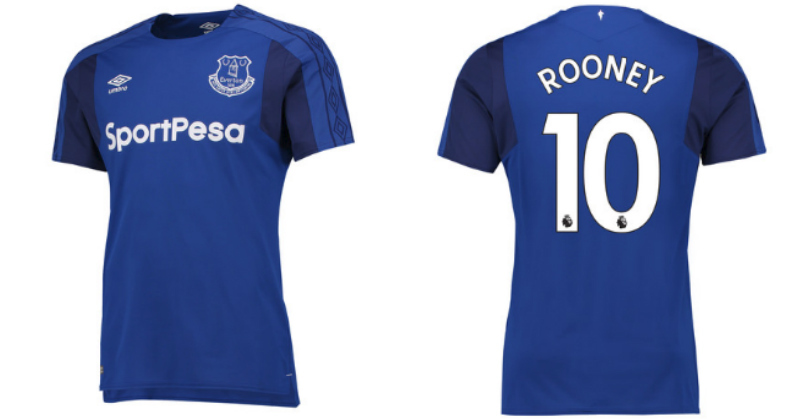 So if you’re a Red, make sure you get the No.9! We’ve still got a couple of weeks left of the summer transfer window, so we still expect to see a lot of activity from some of the big teams- what with the futures of Philippe Coutinho and Alexis Sanchez being so uncertain. 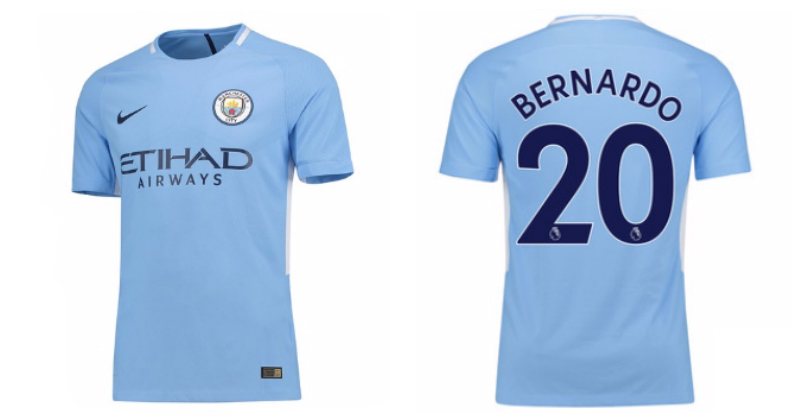 So you can be sure of brand new players and shirt numbers coming in by the end of August. 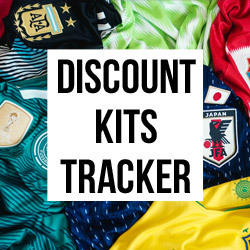 If you’re looking for the cheapest deals on football kits, then take a look through our price comparison site today! 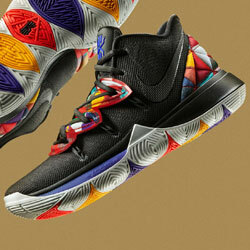 You’ll soon be displaying your favourite player’s number, and with some change left in your pocket too!